Leeds United and Bolton Wanderers have been charged by the FA after an on-pitch fracas during their Championship clash on 23 February. 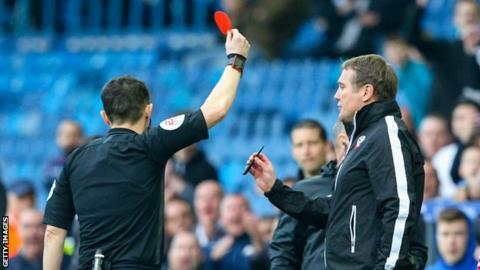 Both clubs are accused of failing to control their players following the 69th-minute flare-up at Elland Road. Bolton manager Phil Parkinson, who was sent to the stands following the incident, has also been charged with misconduct in relation to the matter. Parkinson and both clubs have until 18:00 GMT on 1 March to respond.